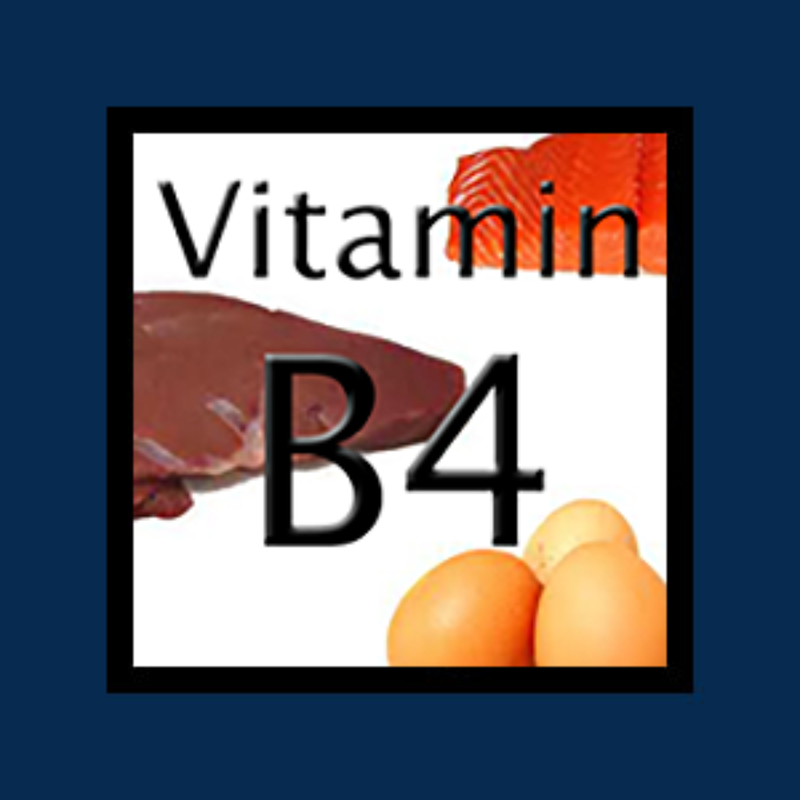 Sometimes referred to as “Vitamin B4”, choline (and also known as adenine or carnitine), is a distant member of the B-complex family and is known as one of the “lipotropic” factors. Lipotropic means that choline possesses properties that prevent the excessive accumulation of fat in the liver. Although not officially deemed a Vitamin per the FDA definition, make no mistake about it, choline is an essential and vital nutrient for our health. A crucial component of the neurotransmitter acetylcholine, which is necessary for muscle movement and brain function. A major component of phosphatidylcholine which is necessary for cell membrane integrity. A critical component of sphingomyelin which is found in myelin sheaths (a type of insulating material) that protects and is essential for the proper functioning of the nervous system. Regulates liver function and minimizes excessive fat deposits. Necessary for normal fat metabolism. The average dosage for choline is between 300 – 3500 mg, although it has been noted that dosages close to 5000 mg show more pronounced improvements in memory and symptoms of Alzheimer’s. Choline has no known toxicity, except at exceedingly high doses (5000 mg to 10, 000+ mg). The most prevalent side effects of choline supplementation are gastrointestinal disturbances such as diarrhea and nausea. In the case of high therapeutic dosages, there may be a noticeably strong “fishy” smell. This is known as trimethylaminuria and is due to the conversion of choline to trimethylamine (TMA). It is the TMA that produces the smell. Now, although this fishy smell can be a side effect of treating with high dosages of choline, it should be noted that it could also occur without choline supplementation. Albeit rare, those who experience this likely lack the enzyme that breaks down trimethylamine. In the case of choline supplementation, one way to avoid this unpleasant side effect is to take phosphatidylcholine instead. However, the effects are not as pronounced as that of choline. A study in which Alzheimer’s patients were given 9000 mg (9g) of choline citrate for twenty-one days reported no negative side effects. As with any substance, high dosages should be taken with care and under the supervision of a healthcare professional. The best way to determine how you will react to choline is to start with lower doses and slowly increase over time. What foods are high in B4?